This article is about directives for EU member-state legislation. It is not to be confused with negotiating directives in EU foreign policy. 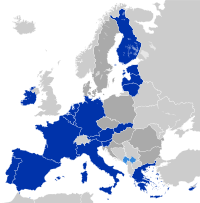 There are justifications for using a directive rather than a regulation: (i) it complies with the EU's desire for "subsidiarity"; (ii) it acknowledges that different member States have different legal systems, legal traditions and legal processes; and (iii) each Member State has leeway to choose its own statutory wording, rather than accepting the Brussels' official "Eurospeak" terminology. So, for example, while EU Directive 2009/20/EC (which simply requires all vessels visiting EU ports to have P&I cover) could have been done perfectly well as a regulation (without bothering Member States to implement the directive), the desire for subsidiarity was paramount and thus a directive was the chosen vehicle. The Council can delegate legislative authority to the Commission and, depending on the area and the appropriate legislative procedure, both institutions can seek to make laws. There are Council directives and Commission directives. Article 288 does not clearly distinguish between legislative acts and administrative acts, as is normally done in national legal systems. Britain passed a statutory instrument, the Unfair Terms in Consumer Contracts Regulations 1994, to implement the EU Unfair Terms in Consumer Contracts Directive 1993. For reasons that are not clear, the 1994 SI was deemed inadequate and was repealed and replaced by the Unfair Terms in Consumer Contracts Regulations 1999. The Consumer Rights Act 2015, a major UK statute consolidating consumer rights, then abolished the 1999 SI; so presumably the 2015 Act complies with the 1993 EU directive, which remains extant. Even though directives were not originally thought to be binding before they were implemented by member states, the European Court of Justice developed the doctrine of direct effect where unimplemented or badly implemented directives can actually have direct legal force. In the important case of Francovich v. Italy, the ECJ extended the principle of Van Gend en Loos to provide that Member States who failed to implement a directive could incur liability to pay damages to individuals and companies who had been adversely affected by such non-implementation. ^ Christine Fretten; Vaughne Miller (21 July 2005). "The European Union: a guide to terminology procedures and sources" (PDF). UK House of Commons Library, International Affairs and Defence Section: 8. Standard Note: SN/IA/3689. Archived from the original (pdf) on 12 June 2010. Retrieved 3 September 2009. Both the Council of Ministers and the Commission are empowered under the EC Treaty to make laws. ^ Steiner, Josephine; Woods, Lorna; Twigg-Flesner, Christian (2006). EU Law (9th ed.). Oxford: Oxford University Press. pp. 56–60. ISBN 978-0-19-927959-3. ^ "Internal Market Scoreboard: best result ever – Member States reach new target ahead of deadline". Europa. 9 July 2008. Retrieved 18 January 2009. ^ Van Gend en Loos: EU Treaties are capable of creating legal rights enforceable by both natural and legal persons in the courts of Member States.